The Fourth of July is the most popular holiday for grilling and barbecuing, swimming and spending time with your family and friends. Statistics show that Americans alone eat over 155 million hot dogs alone during this and the Memorial Day holiday! 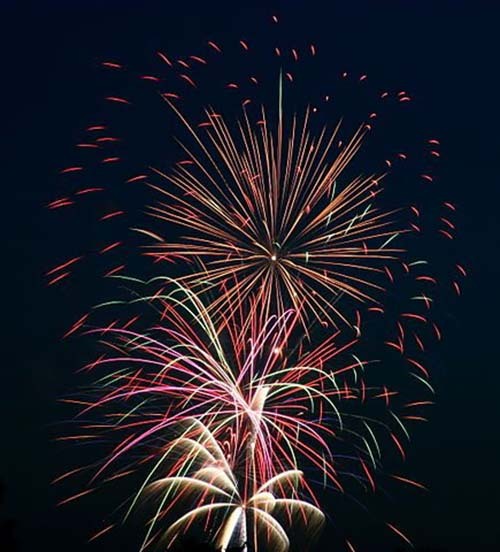 Statistics also show that more than $14,000 fireworks are shot on the 4th of July – this means that the firework industry earns about 75% of its revenue on this holiday! Parents should always supervise adolescents who are shooting off fireworks and assist younger children who are holding fireworks. Use a lighter with a long handle or a long match. This allows you to be farther away from the firework so not to get burned. Have water nearby for any fire that results from a bad firework or any burn that may occur. Read caution labels before lighting. Never re-light a bad firework or a dud. This can cause a firework to blow up and hurt yourself and others. Finally, soak fireworks that have been shot in water before placing into the garbage. Most importantly, have a fun time with your family and friends! Happy 4th of July!! !